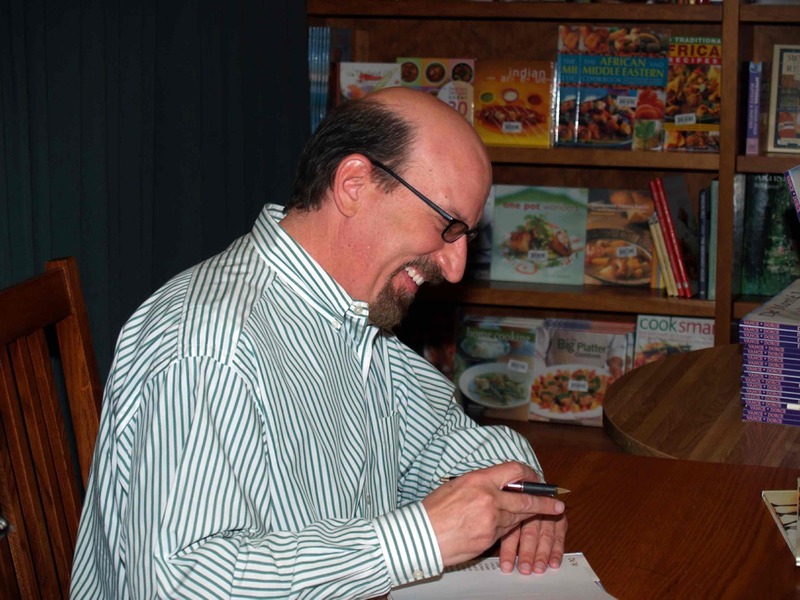 Author and film producer/director Rodney Vance connects with readers and film viewers at the heart. He taps into those places that touch us deeply and weaves stories that resonate with our core values. Rodney has worked hard to build a career that includes being a head writer on two multi-award winning television series, Lifestyle Magazine and The Evidence, a screen and playwright, children’s book author, and has produced more than thirty stage plays and events. Rodney’s list of impressive accomplishments doesn’t end there though. He’s also the Writer/Director of Singular Entertainment, a film production company based out of Riverside, California, and the Chair of the Department of Film and Television at La Sierra University in California. What a pleasure it’s been getting to know this talented man and his remarkable work. Welcome Rodney. Q Although not currently in print, I have to ask you what it was about De’Monte Love’s story that lead you to write the book? A I wanted to do something to raise money for the victims of Hurricane Katrina. The original idea was to create a small, cheaply printed paperback that could be placed on grocery store counters. People who made a donation could have a copy of the book. When a friend of mine pointed out the story of De’Monte Love in the LA Times it was just the perfect story. I tried to find him and couldn’t. I ended up hiring a detective to find his family so I could call them and get permission to tell his story. My neighbour at the time, Martino Dorce, agreed to do the pictures. He’s one of the top Haitian artists and he did an amazing job. Then we started looking for someone to publish our little book and distribute it to the grocery stores and wherever else people might see it. Visikid Books picked it up and they had the idea to do a beautiful hard copy edition of the book as part of their series ‘Heroes All Around’. They would donate a specific amount of money for each book sold. It seemed like this might give a longer ‘shelf life’ as it were to De’Monte’s wonderful story and raise more money for specific charities actively involved in Katrina-related work. So that’s what we decided to do. Q What is the message you hoped to convey with this story? 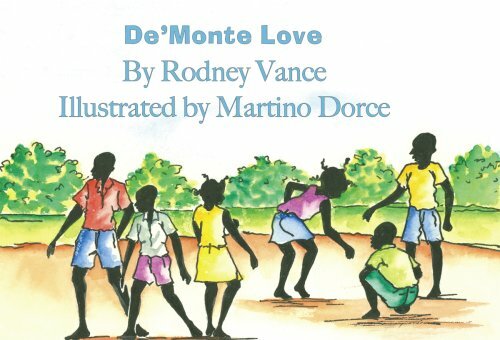 A De’Monte Love is the real name of a boy who was six years old at the time of Hurricane Katrina. De’Monte and six younger kids and their parents had to wait on the roof of their apartment building after the storm because the streets were flooded. A helicopter came and took the kids and promised to come back for the parents but in the confusion they didn’t come back and the kids were on their own until, ultimately, the authorities managed to connect the kids to their parents, who had been transported to Houston by then. Can you imagine the anguish of those parents? De’Monte kept the little band together until they were rescued. Already at that young age he understood the need to take care of those less capable than himself. Even though he was only six years old he did what he could to Love the other kids. And by doing what he could, he did enough. Q In many of your works I note an underlying theme of human connectivity, our responsibilities to each other, and this planet we call home. Has this been a pre-planned vision for your work thus far, and if so, why? A I can’t honestly say that my work is as thought through as the word pre-planned implies. However, whenever I sit down to write I always take the time to really think through why ‘I’ want to write this particular story. How do I connect to it? When I know the answer I write it down on a piece of paper and put it in a drawer. Later, when I’m really stuck or feel like I’ve lost my way somehow with the story, I pull out that piece of paper and read what I wrote. Usually I discover that the writing problem I’m having is really just a problem of getting off track somehow and losing my own connection to the story. The human connectivity and connection to our planet results from the personal connection, rather than from a deliberate attempt to connect more broadly. Q Clearly, entertainment is in your blood. What excites, draws, and holds you to this eclectic, creative pursuit? A I wrote my first play when I was in third grade. I published my first story in a national magazine when I was in seventh grade. I won my first national playwriting competition when I was a Junior in High School. Storytelling has always been the primary way I deal with the vexing issues of the reality I perceive. It’s a socially acceptable way to explore all the light and darkness in my own psyche in a manner that is more than casual. Let’s make that simpler. Stories make us human. Not only are they a way for us to define ourselves, but they define all of the communities around us. We are part of a family because of the stories of how mom and dad met or what we did when we were little or that time we swallowed a nickel. These stories bind us together as a family even more than blood. Ask any child adopted at a young age. It’s not fundamentally blood that makes you family, its stories. The same is true for our town or city. Los Angeles is the City of Angels, the City of Dreams, and some of those Angels are dark and some of those Dreams are Nightmares. We are Hollywood and Aerospace and Watts and Pasadena and a concrete River also called Los Angeles. New York has different stories and is a different place. Every place has its own stories. It amazes me sometimes when people show a little or no interest in the stories of their own home town. Our nation is also built on stories: the Civil War, George Washington, a City on a Hill, Vietnam… And our religions too, it’s all stories. Stories tell us who we are. Stories make us human. What possible work could there be that’s more interesting than being a Storyteller? Q What would you say has been the most difficult lesson of life for you to learn, and why? A Life is short. Only so many stories can be told. I need to focus on telling the stories that I tell instead of taking time to tell stories that other people want told. Although Storytellers must make money – and should be well paid considering the value of their service to their society – the core reason to tell a story is the connection I spoke of earlier. Money can’t be the primary reason to tell a story. Q Who has been your greatest mentor in life or business, and why? A So many mentors have been supportive at crucial times. My parents were there first. I had a High School English teacher named Miss French who introduced me to the world of plays by taking me to see The Glass Menagerie by Tennessee Williams. In college I studied theology under brilliant minds of professors like Fritz Guy and Richard Rice who taught me how to think. Davey Marlin Jones, a theatre critic for the CBS affiliate in Washington DC, introduced me more fully than anyone to the craft of storytelling. He taught me the language and gave me a voice. Sometimes the necessary mentor appears as an obstacle and a source of pain. They can teach you a lot. Q When writing, do you maintain a daily writing schedule? If so, what does that look like for you? A I have repeatedly tried to maintain a daily writing schedule because I believe in the concept. I’ve never been able to make it work. The thing that must be done ‘right now’ always intrudes. For me the trick is not the specific schedule but the commitment to write or create. Like eating or connecting to another person, you may not always do it at the same time every day. But you don’t live long unless you do it regularly. Q In addition to being a children’s book author, you are also a screenwriter and playwright, the President and Director/Writer for Singular Entertainment Production Company, and a Professor at La Sierra University’s Film and Television Department. How do you manage to find a balance in life, or do you? A Every day of life is a gift. You can let that gift dominate you or you can receive it and choose what you will do and what you won’t do. Watching sunrises and sunsets are important. The daily display the universe puts on is truly astonishing and all you have to do is look up and watch it. They are reminders that we are not important because of what we do. We can scurry around all the time and, in the grand scheme of things, it doesn’t really matter all that much. Yes, we have to earn money for food and shelter. Yes, we need human companionship. These are necessary things. But it’s easy to spend a lot of time doing things that we think are important, but really aren’t. Is what I’m doing at this moment in time more important than watching the sunset? Q You’ve achieved and touched on so many exciting, interesting things in your life so far. What haven’t you done that you’d like to? A I want to do what probably most everybody wants to do. I want to travel the world with someone I love and meet interesting people, write stories, and direct films that other people want to watch. I also want to lie in a hammock beneath a palm tree on the beach and doze the day away. Q What advice would you give to those just starting out in the world of writing and/or entertainment? A If you don’t like it, it’s not good. Q When you write, do you work from a complete outline, or do you allow creativity to take the wheel and lead you where it may? Q As we approach the ten year anniversary of Hurricane Katrina that devastated so much of the southern United States in August 2005, what lessons, if any, do you think the world took away from that experience, and why? A I don’t think we learned anything at all. Q What’s next for you, Rodney? A ‘The Butterfly, The Harp and The Timepiece’, a ten-minute film starring Academy Award winner Melissa Leo, gets its World Premiere on Opening Night at the Los Angeles International Short Film Festival on September 3rd. I’m very excited about this little film that intertwines three stories around a magic shop where, no matter who you are, you get what you need (like the Rolling Stones song says!). The writer envisioned a film with very little dialogue – but that didn’t feel like a silent film. We have less than a hundred words spoken in the film, but we do use a brilliant new song composed specifically for the film by Grammy winner Alex Geringas and Australian Pop Star Toby Rand. The song becomes more than a platform for the emotions. It becomes a narrative device, an essential component to the telling of the story. Pictures, words, and music – like Opera! ‘Napa Valley Dreams’, a giant screen film that includes the final on-camera interview and keyboard performance of Ray Manzarek of The Doors, looks like it will find a long-term home as a destination film at The Empress Theatre in downtown Vallejo, the Gateway to the Napa Valley, on or around April 1. I’ve signed on to direct a new short film about Erwin Cossentine, a college president who fights very hard to keep his Japanese-American students out of the concentration camps during World War II. It also looks like I’m going to get to direct a feature I wrote the screenplay for about a Conscientious Objector who served as a Medic in Vietnam until the local North Vietnamese Colonel killed the love of his life and he decided to train as a sniper instead. Now there’s a story with complications! Acuity Press has expressed an interest in publishing my children’s book ‘Pale Male and Wendy’, the story of a six-year-old girl whose great love for long words is exceeded only by her love for Pale Male and Lola, the red-tailed hawks of Central Park. It will come out in Fall 2016. In addition, I’ve just finished a new children’s book, a folktale about the origins of Jazz called ‘Jazz Boy’. I also love my job teaching film and television production at La Sierra University, but right now it’s time to step outside and watch the sun set.